The term squash generally includes summer squash, winter squash, and pumpkins. Summer squash are the weak-stemmed, tender annuals that usually grow as a bush and include zucchini, yellow squash, and patty pan squash. They are usually eaten in their immature stage while the skins are still thin and tender. If there’s one thing anyone can grow, it’s summer squash. With little maintenance, these fast growers quickly take over any space in a garden. Gray Zucchini: a 55 day gray-green skinned variety with mild flavor. This variety is good for compact spaces. Find an array of additional heirloom varieties at Seeds For Generation. Summer squash are heavy feeders, although they will still grow in average soil as long as it’s well-drained and they receive large amounts of water during hot weather. If you have poor quality soil, mix a large shovel of compost into each hill you will plant in. Make sure the area you choose for growing is in full sun. Your soil temperature should be at least 60 degrees before you sow seeds or transplant seedlings. Summer squash does best whenever direct sowing is possible. 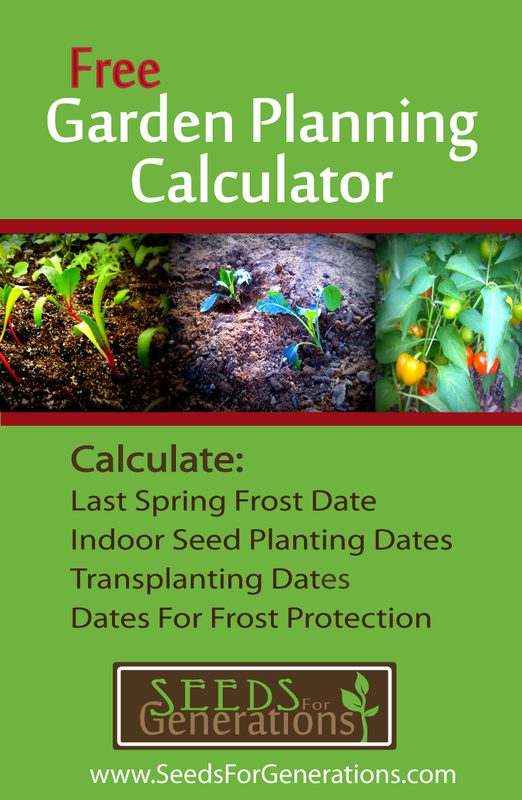 Place 4-5 seeds in each hill 2-3 weeks after your average last frost. Once seedlings are a week old (one week after germination), pick out the weakest ones, leaving the 2 or 3 strongest plants. Hills should be a foot tall and 3-4 feet apart if possible. Water seed starts and seedlings evenly, making sure they drain well. Seeds may alternately be sown indoors in at least 4 inch peat pots 4-5 weeks before their outdoor planting date. Once seedlings are ready for transplanting (usually about three weeks old), remember to harden them off outside (or in a cold frame) before planting them. I rarely grow many summer squash this way, but when I do, I start them 4 weeks before I plan to transplant them, and harden them off the fourth week so they are ready to go in the ground after about exactly four weeks. I have the most success this way, but it’s not nearly as easy or successful as just direct sowing them. Make sure the soil is at least 60 degrees before putting them into the ground. If growing summer squash in a container, find one that holds at least 5 gallons and is 10 inches deep. Advice is given to thin plants to one per container. However, I personally use bigger containers and thin to 2 plants—one on each side of the container. Always check the growing instructions that came with your specific summer squash seeds and plants. If no instructions are given, or if they are vague, use the following guidelines. If you are planting summer squash in rows, plant them 1-2 feet apart at the closest, and keep the rows 3 feet wide. Most summer squash grow fast and like a lot of room. If you do decide you want to grow them closer together, pinch the tips off after each vine has set a few fruits. When you are able to keep the weeds down early in their maturity, summer squash leaves will eventually grow large and numerous, casting a great amount of shade on the ground and usually controlling their own weeds in this manner. Summer squash are very sensitive to frost and the cold. They like soil and night temperatures of at least 60 degrees. If a cold spell is expected for a few nights, consider covering them for warmth. Consider also using row covers to deter pests. Cover your rows as soon as plants or seeds are planted, keeping the covers down with stakes or rocks. Remember to remove the row covers as soon as vines start flowering unless you will pollinate them by hand. If you know you will have cucumber beetles, you may choose to spray exposed plants with kaolin clay before a problem develops. Once you’ve got the hang of growing summer squash, you may want to experiment with timed planting. While many crops are planted at various times for the purpose of extending the harvest, timing your summer squash planting really has a goal of pest control. You want to find that perfect window for your area when the pests are less active. For example, you’ll eventually want the cucumber beetle to be at it’s adult stage between your first and second crop generations so that both are minimally affected. As a general guideline, plant summer squash two weeks after your last expected spring frost, and again four weeks later. In the south, plant several succession plantings, but work your math backwards. Two weeks after your last expected spring frost is likely too early. Instead, time your maturation dates in the fall when temperatures are starting to decrease, but not freeze. If one of these schedules works well for you, record it in your garden journal for future use. If it doesn’t, then work it a week or two in the direction you’ll need until you get it just right. Be patient, and if you do encounter problems with pests, make sure you are implementing techniques from Avoiding Problems With Summer Squash below. Summer squash should be harvested when they are young and skins are still tender. Watch for flowers on your plants. The first flowers will be male. Once female flowers start to develop check your plants daily. Check the undersides of fruit specifically for spots or discoloration. These fruits should be picked and discarded immediately to prevent any further disease. Most summer squash are ready between 3-6 inches long, except for zucchini and crookneck varieties which will be ready when 6-8 inches long. I don’t advise picking your squash, but rather using gardening scissors or pruners for a clean cut. Leave 2-3 inches of stem until you’re ready to eat your squash, and don’t use the stems as handles in larger fruits. If summer squash are left on the vine too long, they will suppress any more flowering and reduce your crop. If you know you won’t be able to check your squash daily, have someone else do it for you. And if you simply can’t keep up with consumption, you may still want to pick them anyway so your plants don’t quit producing. The three best ways to control any pest problems are to time your planting just right (read Intermediate And Advanced Summer Squash Planting above), use row covers while plants are young, and help out with pollination if you need to. To prevent disease, pick and discard any fruits with spots, dents, or other obvious damage right away. Also, spray vines with plant health boosters, or compost tea if you feel it’s needed. Even if you never see a problem with pests or diseases, work your soil a few times in the fall once your harvest is done. This exposes pests and pupae to the cold weather as well as predators (like birds). If I have the time, I try to do this at least twice, a week apart, in the fall. Having problems with squash bugs? Read this. If you are still having problems with summer squash pests and diseases, call your local Extension Office and ask which varieties do best in your area. A friend of mine thinks that squash fruits will stop growing when the blooms die. I can’t seem to convince her differently. Can you please help me? Thanks!